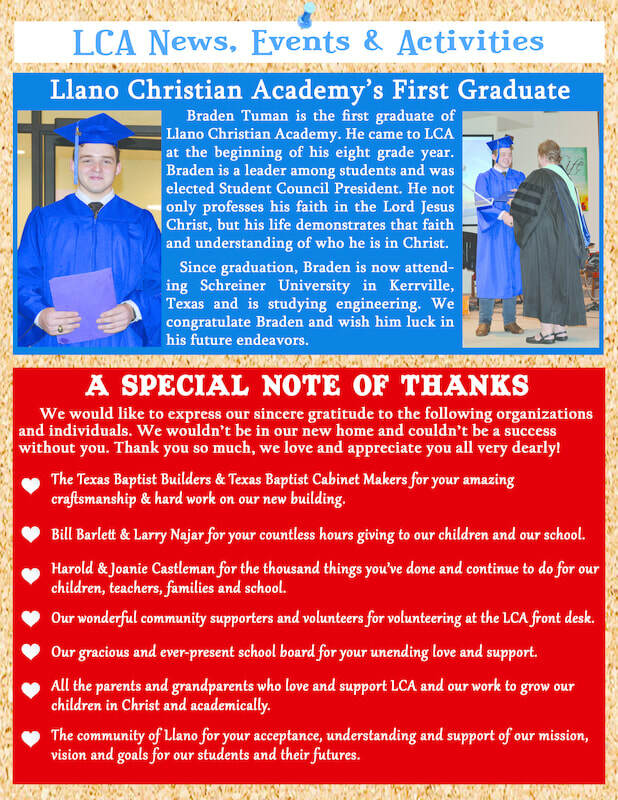 to login and select Llano Christian Academy, and Amazon will donate a percentage of what you spend to LCA. Please also continue to collect Box Tops and turn them into the LCA office or send with your child to school. We greatly appreciate all of the Box Tops we have received so far! 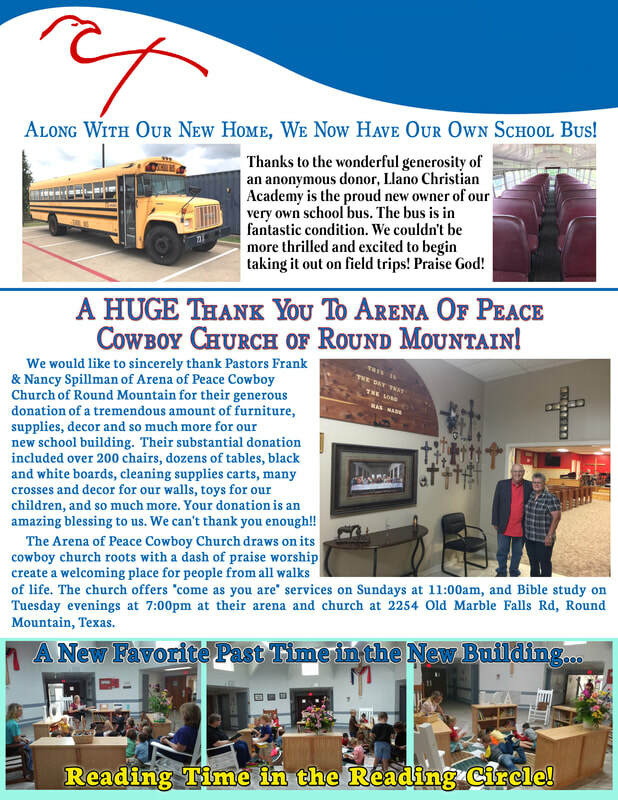 ​This is FREE money for our school, thank you for your support!! 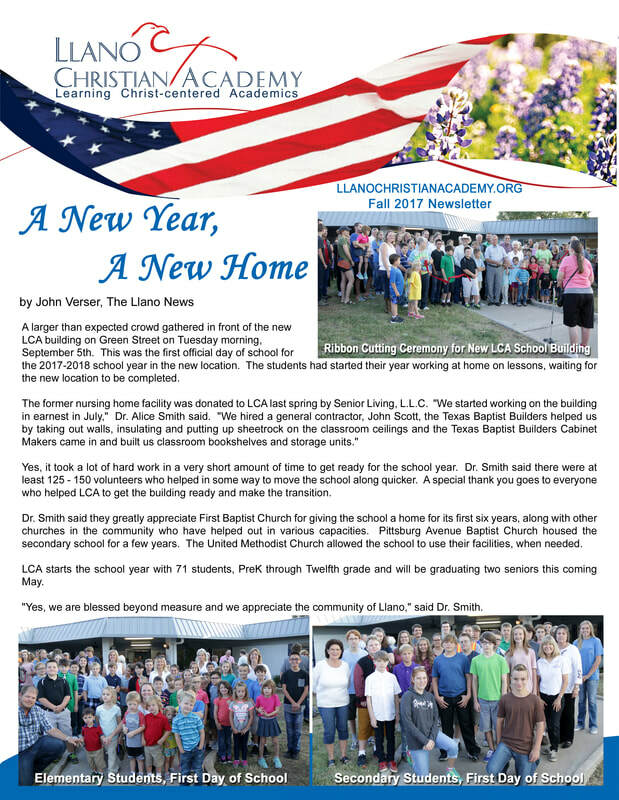 Llano Christian Academy is now accepting applications for the 2019-2020 school year. The deadline for requesting financial aid is May 15, 2019 and the awarding of financial aid will be made on June 1, 2019. 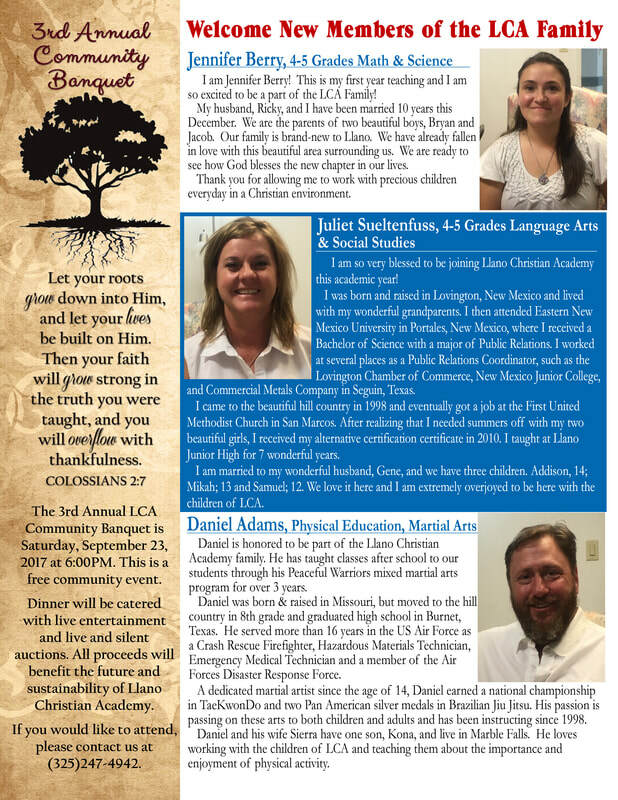 The LCA Winter 2017 Newsletter can be downloaded here. 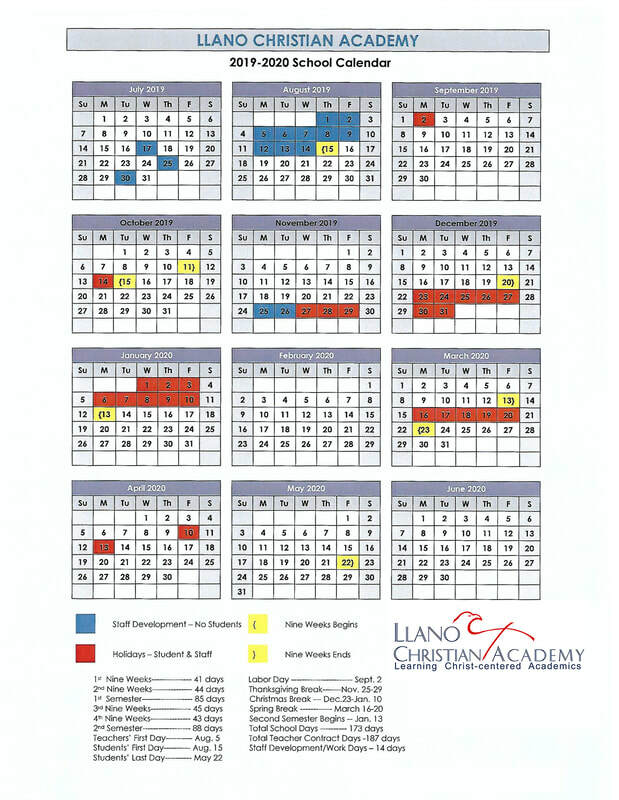 The LCA 2017-2018 school calendar may be downloaded here. Tuition will be increasing for the 2017-2018 school year. PreKindergarten will increase to $5500.00 per year. In addition, there will be a $200 (PreK3 through Fifth Grade) and $300 (Sixth Grade through High School) curriculum fee due in August.